Since our founding in 2010, SIMS has embraced a spirit of innovation, analytics, and entrepreneurship in mathematics. 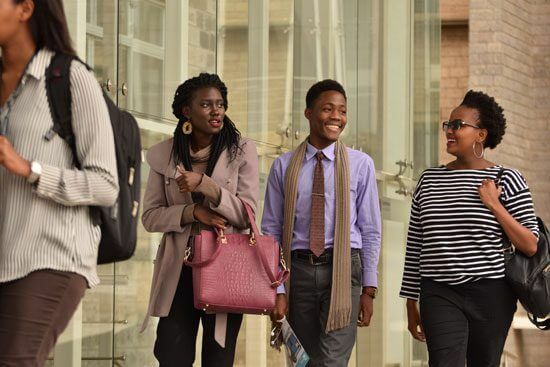 Strathmore University Institute of Mathematical Sciences (SIMS) was established in 2010 and launched on August 18, 2011 during the “First International Strathmore mathematics conference August 18 – 21, 2011” at Strathmore University. The Institute seeks to be a centre of excellence in applied mathematical research as well as provide high quality training to students and professionals in the fields of Actuarial Science, Finance, Applied Economics and Applied Mathematics. To nurture the growth of applied mathematical research expertise through an all-round quality education in an atmosphere of freedom and responsibility, excellence in teaching, research and scholarship and service to society. The Institute is founded on the values of excellence through the sanctification of work, lifelong learning, ethical practice, subsidiarity, respect and service to society. Promote research in mathematical sciences and continuously improve on the data available within the institution’s data repository, thus enhancing the quality of research output. Encourage and support interdisciplinary and multidisciplinary research. Promote an all-round education through personalised mentoring; creating an open learning environment that allows exchange of viewpoints from different cultures, social, religious and ethical backgrounds; as well as fostering an environment that promotes positive personal habits that nurture personal development. Nurture lifelong learners who are inspired to continue learning after they leave the classroom and pursue learning independently. Offer students the opportunity to experience the worth of helping others and serving the society.